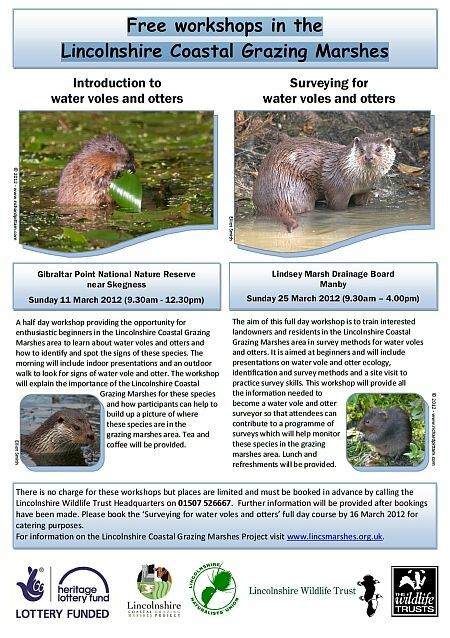 I was surprised and happy to receive an email from Lincolnshire Wildlife Trust last week. They wanted some of my Water Vole images for use in their publications and also to help put together presentations for some forthcoming workshops. Amongst other images, they chose these two, to go in their “Free workshops in the Lincolnshire Coastal Grazing Marshes” brochure. The vole eating the leaf is my favourite. I cannot, sadly, claim the Otter images. As usual, I am happy to give my images free to local conservation groups, as they do a brilliant job in saving our countryside heritage.